Daryl Elaine Stenvoll-Wells is an artist, educator, and community arts organizer with over 20 years of professional experience in the field. 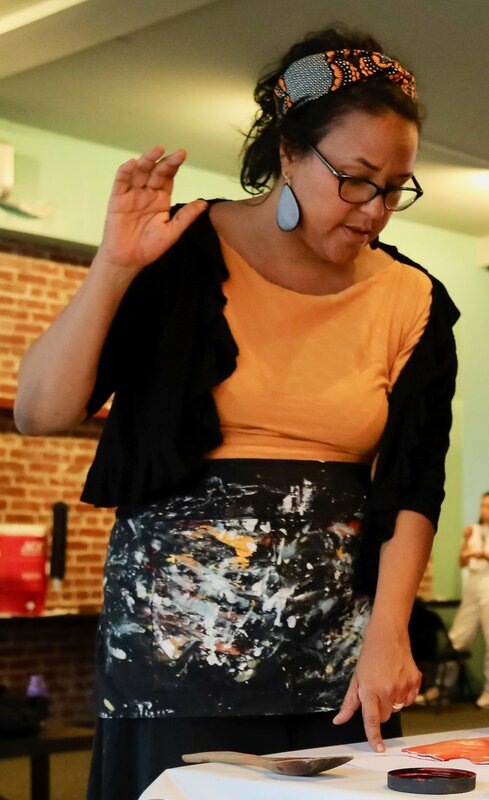 A native Angeleno, she started her public art career as an assistant to legendary muralists East Los Streetscapers, and was soon designing her own commissioned murals through city-funded programs in underserved communities. Daryl's first exposure to teaching involved working with at-risk youth on murals for the Sunset Junction Neighborhood Alliance. She continued building her experience working with inner city youth during periods teaching art in East L.A., Washington, D.C. and the South Bronx. Eventually, a thirst for more global perspectives led Daryl to Paris and later London, where she became art instructor and coordinator for service learning programs at The American School in London. This international position led to many leadership opportunities, including a collaboration with a school in Pondicherry, India, plus an MA (with Distinction) in International Education and Development at the University of Sussex. During this period she spoke at several international education conferences with a focus on integration of social justice concepts across arts curricula at every stage of learning. Daryl settled in the San Francisco Bay Area in 2010 and resumed her career as a teaching artist. But personal and public events, including the death of her older brother in 2013 and the deaths of Eric Garner and Michael Brown in the summer of 2014, inspired her to recommit her focus to using art to memorialize the victims of police brutality and fight for criminal justice reform. She founded Art Responders, a social media community for artists to share creative responses to police brutality, in November of 2014. She also began creating animated digital 'paintings' of police victims in 2015, and has published calendars each year to raise awareness and funds for organizations that support communities dealing with racism and violence in law enforcement. In 2015, Daryl re-launched Art Responders with a broader mission of developing cultural engagement projects with a social justice focus. Beginning with the first AR exhibition, VIRAL: 25 Years from Rodney King (2016), she has conceived and curated programming for Art Responders in the US and UK, including the event series ANTIVIRAL (2017) and the upcoming COLORISM: The Spectrum of Internalised Bias. Julia Zeuli has over 20-years’ experience in program design, popular education, and youth leadership development. Her career has prioritized working on issues related to equity and the elimination of racial, ethnic, and socio-economic disparities. Julia grew up in San Francisco, is the daughter of immigrant parents, and is a native Spanish speaker. Her passion for lifting the voices of oppressed communities, particularly youth of color, come from her deep family roots in social justice and activism. She specializes in working with marginalized youth of color, having developed and implemented trainings that incorporate popular education, art, and theater in Mexico, Guatemala, Honduras, Belize and the United States. Using a social justice lens, she guides participants through a process where they critically exam, identify, and address social issues in their communities. Her passion for social justice and digital media art, led Julia to work with youth on digital storytelling, where participants use digital media to tell their personal narratives in order to impact social change. Through the use of oral history, participatory media, and popular education strategies – her goal is for youth to use their stories to educate and advocate for social transformation in their communities. Julia joined Art Responders in 2015 where she facilitates intersectional efforts with community-based organizations, school districts, government agencies, and community coalitions to implement community-based initiatives. In her spare time, she is developing a Spanish language podcast of culturally relevant children’s stories, gardening, and designing protest signs with her 7-year-old son. In 2017 Art Responders welcomed Elena Mencarelli to the organization as Assistant Curator and Regional Project Manager for the Bay Area, Europe, and Australia. Elena is an art critic and curator who graduated with a Master Degree in Visual Arts from the University of Bologna, Italy. She moved to San Francisco after previous work and study experiences in Italy, France and Australia. Ms. Mencarelli's curation experience began with exhibitions in 2014 in Melbourne, first for the Make Your Mark Art Collective and then as freelancer. Between 2014 and 2017 she has organized and curated projects in Italy, Australia and San Francisco. Literature, Philosophy and History are important elements of her curatorial activity, enriching her work with an intense conceptual component. 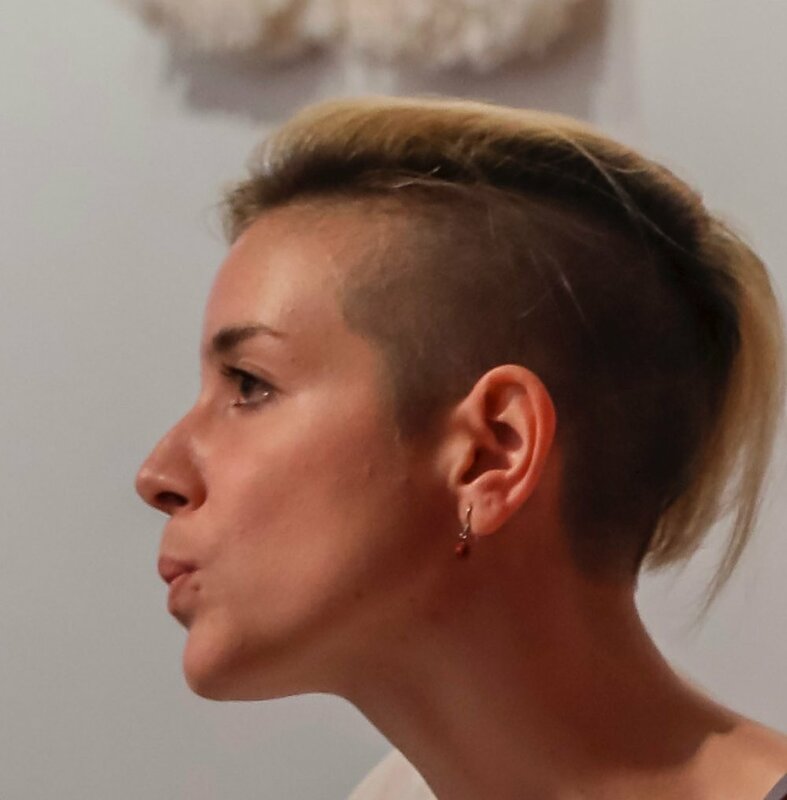 Through her engagement with Art Responders Elena hopes to sustain and promote cultural projects focused on reshaping society through the creative, interactive and upending-subversive approach. She strongly believes in art's power to drive communities toward constructive change.